Gong Hyo-jin is a South Korean actress, model, and fashion enthusiast. She was born in Seoul, South Korean on April 4, 1980. She is known as the queen of romantic comedies due to her successful portrayals of characters in her rom-com dramas. Almost all of her work has become successful. 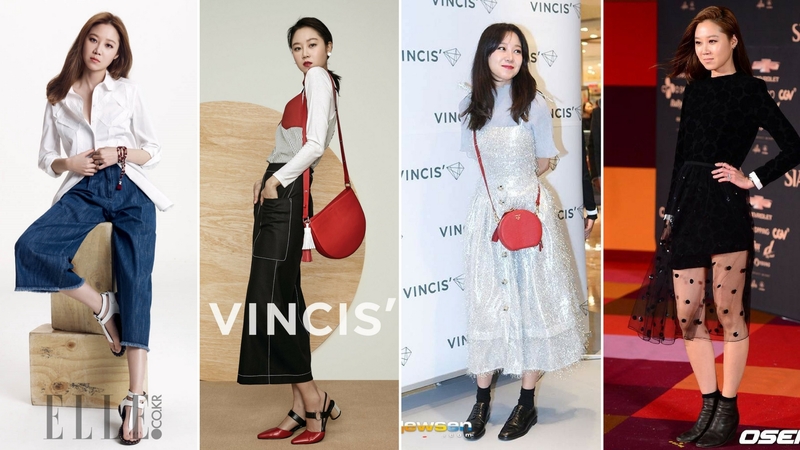 Beside her acting career, Gong Hyo-jin is also a model. Her fashion sense often become trends in South Korea because of her unique yet comfortable sense of style. She made her screen debut in the 1999 horror movie Memento Mori. She admits that she sometimes develops romantic feelings when performing with her drama co-stars. She did have a long-term relationship with one of her co-stars, Ryu Seung Bum. A good friend of hers is actress Shin Min Ah. Her role in the drama “Sisters on the Road” brought her into popularity. She moved to Australia with her mother and brother when she was in her junior year. In 2011, she became one of Korea’s goodwill ambassadors to Australia on the the 50th anniversary of bilateral relations between Australia and South Korea. She often goes with her instincts when acting. She said that she just wants to make the other person flustered. She likes to cook, especially kimchi seafood pasta, kimchi rice with bean sprouts, rice cake soup with oysters, and and bean paste soup. In 2010, Gong Hyo-jin published a collection of essays on the environment entitled Gong Hyo-jin’s Notebook. She’s considered an influential fashion icon by Korean women in their 20s and 30s. It led her to collaborate with several fashion brands. She was on the jury of several film festivals, including: Asiana International Short Film Festival (2011), International Women’s Film Festival (2009), and Mise-en-scène Short Film Festival (2006). Gong Hyo-jin played roles that involved being in a couple with many famous actors, such as: Jo Insung, Kim So Hyun, Rain, Cha Taehyun, Cha Seungwoon, Jo Jongsuk. She even got several Best Couple Awards. Gong Hyo-jin is popular for being free spirited and having a bold personality. 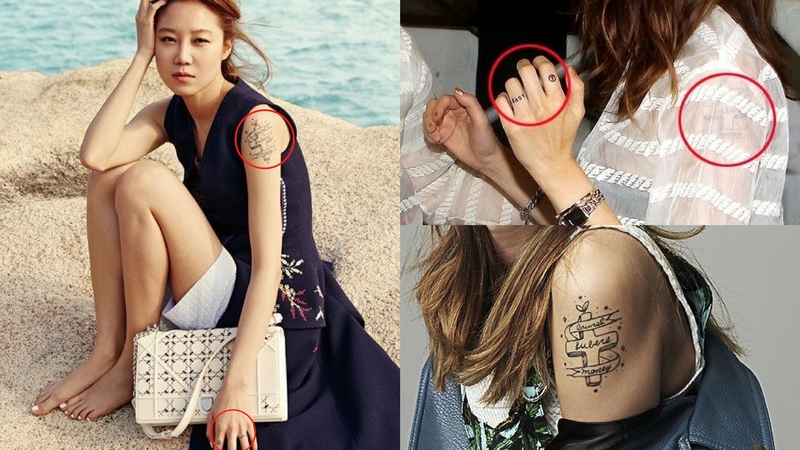 While the general public in Korea still think having a tattoo gives off a bad impression, Gong Hyo-jin breaks that rule. She has several and proudly shows them to the public, she even shows them in many photoshoots. She has one big tattoo on her left arm. This tattoo got a lot attention from public because it’s not feminine, like her image. Another two are on her fingers. One tattoo is the word “LOVE” that is inked on her finger like a ring. Another one is peace sign. Gong Hyo-jin is known as one of the most respectable fashion icons of Korea. Whether it’s clothes or accessories, it will soon be sold out if Gong Hyo-jin is wearing it. That’s why she has collaborated with some big fashion brands. She has a unique sense of style that makes her outfits always standout. From casual fashion to Red Carpet, Gong Hyojin never fails to show off her charms. Here some of Gong Hyo-jin’s outfits that may inspire you! Did Gong Hyo-jin Undergo Plastic Surgery? Even if she did have plastic surgery, it is clearly really subtle. Her look hasn’t changed too much since her early career. Her eyes, nose, and jawline still have a unique structure. If she did have some work done, it probably looks more like the Korean beauty standard. The only enhancement she went through is her change of style.